Fulfillment by Amazon, often known as FBA, is an order fulfillment service that allows businesses to sell on Amazon’s platform. They offer shipping and storage solutions with their multiple warehouses across the globe. In this article, we cover user reviews and pricing. Ready to get started with Fulfillment by Amazon? Sign up for a free account. Users who gave Fulfillment by Amazon a positive review like the platform because it allows them to reach more customers. Others also commended its multi-channel fulfillment service which not only allows them to sell on Amazon but also use it on their personal sales channels. One user who gave Fulfillment by Amazon a positive rating on nChannel appreciates how it enables him to expand his customer reach by using its platform. He also likes how his customers enjoy its flexible shipping options, such as one-day, two-day, and standard delivery. As of the date this article was written (11/05/18), there are not a lot of negative reviews of Fulfillment by Amazon available online. However, some users pointed out that FBA has some product restrictions because there are ones that are difficult to run on their platform, such as bulky or heavy products. Fulfillment by Amazon has two pricing plans: Individual and Professional. Individual fulfillment fees range from $2.41-$4.71+/unit for standard-sized items and $8.13-$137.32+/unit for oversized items. Storage fees range from $0.69-$2.40/cubic foot for standard-sized items and $0.48-$1.20/cubic foot for oversized items. Professional accounts are paid through a monthly subscription fee of $39.99. The main difference between the plans is the number of items a user sells each month. Prices vary according to product size and category. Ready to get started with Fulfillment by Amazon? Sign up for a free account. Order Fulfillment Services: Who’s the Best Fulfillment Company — In this guide, we compared the services of four fulfillment companies: ShipBob, FulfillmentCompanies.net, Fulfillment by Amazon, and Fulfillment by Amazon, and showed you how to assess your business’ fulfillment needs to find the right fit. Does Fulfillment by Amazon offer fraud protection? Yes. Amazon offers a payment fraud protection option to help you avoid fraudulent orders. Do I need a list of a minimum number of items? No. Fulfillment by Amazon does not require a minimum number of items to use their service. 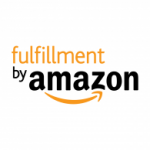 Not sure if Fulfillment by Amazon is the right fit for you? Read our reviews of all top order fulfillment services providers.